Alt-electro duo Empire of The Sun has announced their U.S. tour dates, which kicks off in Denver, CO. St. Lucia and Holy Ghost! are also joining the duo on tour. Empire of the Sun are known to host high energetic and visually appealing performances consisting of bright neon lights, dancers and unique costumes. 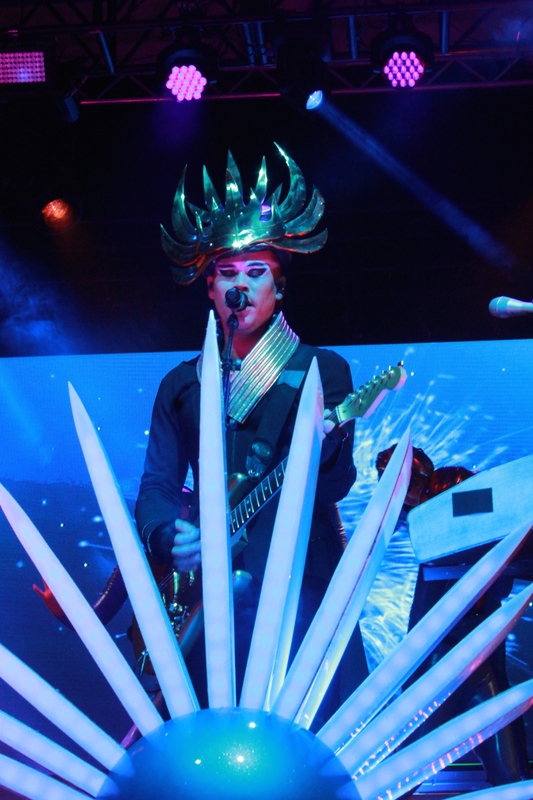 The band consists of Luke Steele, of the alt-rock band, The Sleepy Jackson, and Nick Littlemore of Pnau. Previously, Empire of The Sun composed the score for The Farrelly Brothers 2014 film, Dumb and Dumber To. The band is currently hard at work in the studio working on their follow-up to 2013’s, Ice on the Dune. Back in November, Nick Littlemore tweeted that their new album was titled Every Ocean Tells A Story. 9/12—Denver, CO Fillmore Auditorium w/St. Lucia + Holy Ghost! 9/15—Redmond, WA Marymoor Park w/St. Lucia + Holy Ghost! 9/16—Vancouver, BC Orpheum Theatre w/ Holy Ghost! 9/18—Troutdale, OR Edgefield w/St. Lucia + Holy Ghost! 9/19—San Francisco, CA Bill Graham Civic Auditorium w/St. Lucia + Holy Ghost!